A website to promote their grand opening event at ATT 4 FUN. It showcases their products and various prizes that can be won both at the event and by subscribing to their Facebook page. 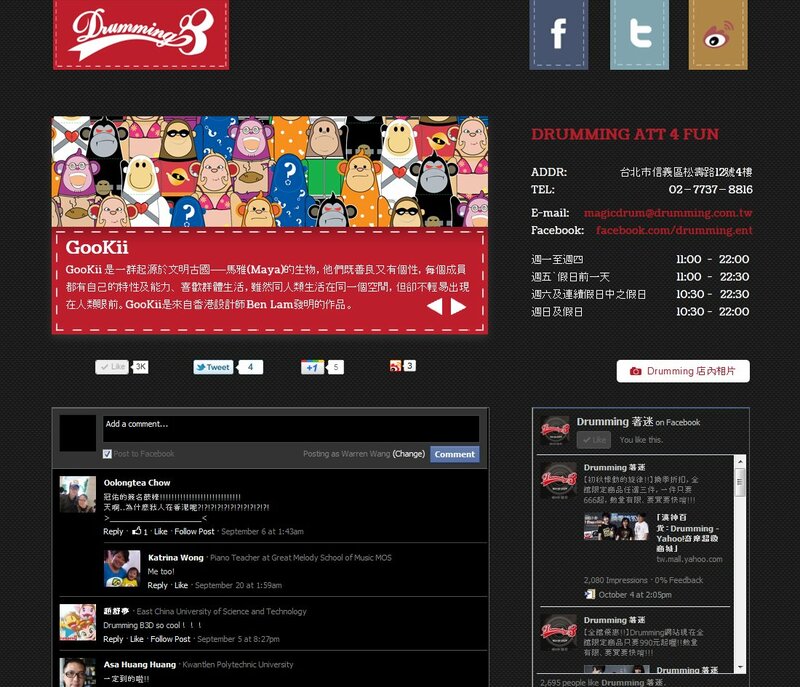 Drumming is a Taiwanese clothing brand promoted Mayday’s drummer Guan You.